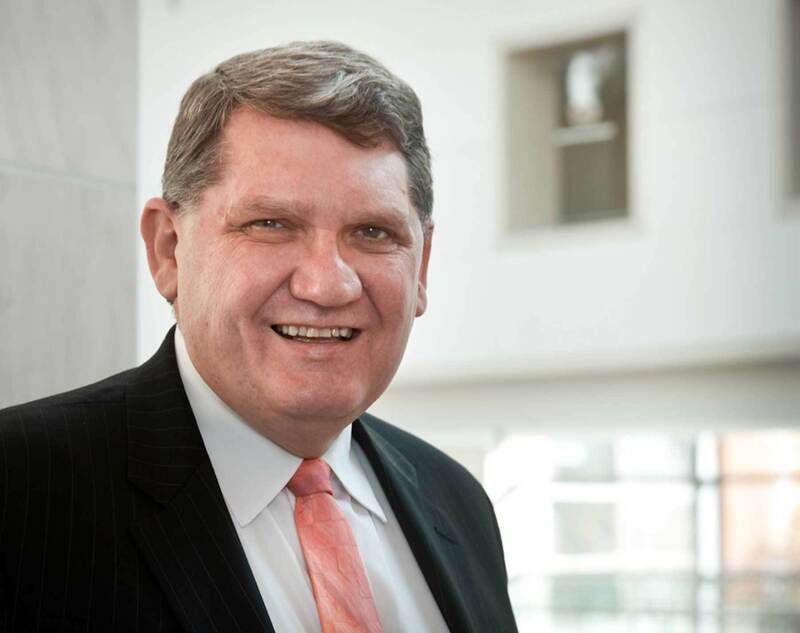 SALEM, MA — Dan Monroe, the Rose-Marie and Eijk van Otterloo Executive Director and CEO of the Peabody Essex Museum (PEM) for 25 years, announced his retirement today. Monroe will continue to lead PEM until September, 2019 following the summer opening of PEM’s major new wing and featuring fresh installations of its vast and diverse collections. Robert N. Shapiro, President of PEM’s Board of Trustees, said Monroe is a widely-recognized pathbreaker and leader in creating an entirely new kind of art museum. A search committee to select PEM’s new director has been organized and an international search is underway. Over the course of the last 25 years, Monroe led the consolidation of two historic museums into a museum that operates on a global stage and stands among the top 10 percent of American and Canadian art museums as measured by size of budget, facilities, and other metrics. Establishment of contemporary art as a core part of PEM’s exhibitions and programs. Monroe has been a national leader who served as President of the American Alliance of Museums and President of the Association of Art Museum Directors. He has served in many other regional and national leadership capacities, led and helped develop national policies pertaining to museum ethics, deaccessioning, acquisition of ancient art and archaeological materials, and other issues. He also played a key role in the creation and implementation of landmark Federal legislation regarding repatriation of Native American human remains and cultural items. He has been active in promoting international cultural exchanges, especially with China, India, and other Asian nations. This includes the acquisition and re-erection of Yin Yu Tang, a complete Chinese Qing Dynasty house on PEM’s campus. This is the largest cultural exchange project between China and a U.S. museum. Leading the transformation of PEM into a major American art museum that thrives on a culture of innovation and creativity has been an extraordinary joy and privilege,” Monroe said. “PEM operates today at local, national, and global stages, and works to create experiences of art, culture, and creative expression that transform people’s lives. PEM’s physical presence has grown dramatically under Dan Monroe’s leadership. In 2003, as part of the Third Century Campaign, PEM opened a 113,000-square-foot wing designed by Moshe Safdie. The transformational $200 million campaign and expansion included new collection installations, a soaring 10,000-square-foot Atrium with a cafe, handsome auditorium, enlarged museum shop, interactive studios, outdoor parks and walkways, renovated galleries throughout the museum, and the opening of Yin Yu Tang, PEM’s historic Chinese house. In 2018, PEM opened a state-of-the-art 120,000-square-foot Collection Center to unify, preserve and protect the museum’s 1.8 million works and the collection of the Phillips Library at the highest possible standard. PEM continues to grow, with a current Gallery Expansion Project designed by Ennead Architects that will add 40,000-square-feet to PEM’s facility, including 15,000-square-feet of gallery space, a light-filled atrium, an entry for school and group tours, linkages to existing galleries and a new garden. Opening in mid-2019, the project will also unveil the first phase of 19 new collection installations, to be completed in 2021. PEM’s mission, operating principles and financial model combine to make it one of the most dynamic and progressive museums in the nation. PEM is dedicated to creating experiences of art, culture and creative expression that transform people’s lives by broadening their perspectives, attitudes, and knowledge of themselves and the wider world. A museum-wide culture of innovation and experimentation ensures that PEM is continually working to provide meaningful, relevant and exciting experiences for the public. Fresh interpretive strategies, creative risk taking and innovative exhibition design have become hallmarks of the PEM experience. Under Monroe’s direction, PEM established a groundbreaking neuroscience initiative and hired Harvard-trained neuroscience researcher, Dr. Tedi Asher, to assess how neuroscience can enhance the museum experience. PEM’s exhibition program is global in its purview and interdisciplinary in its practice, addressing urgent topics and universal experiences. Over the last decade, PEM has established a robust changing exhibition program producing dozens of exhibitions that are created in collaboration with, and travel to, major museums, including: the Palace Museum, Beijing; the Victoria & Albert Museum; the Metropolitan Museum of Art; the National Gallery of Art, Washington, D.C.; the Freer|Sackler, Washington, D.C.; the Royal Ontario Museum; the Rijksmuseum, Amsterdam; and the National Museum of the American Indian. Monroe has raised the international visibility of PEM through strategic partnerships with art organizations in China, India, Japan and Korea. Over the last 20 years, the Peabody Essex Museum (PEM) has distinguished itself as one of the fastest-growing art museums in North America. It now stands among the top ten percent of American and Canadian art museums based on size, endowment, operating budget. Founded in 1799, it is also the country’s oldest continuously operating museum. At its heart is a mission to create experiences of art, culture, and other forms of creative expression that enrich and transform people's lives by broadening their perspectives, attitudes, and knowledge of themselves and the wider world. PEM celebrates outstanding contemporary and historical artistic and cultural creativity for audiences worldwide through exhibitions, acquisitions, hard copy and digital publications, research, education and public programs, and special events and activities. Its campus provides a varied and unique visitor experience with hands-on creativity zones, interactive opportunities and performance spaces. PEM’s diverse and large collection includes 1.8 million objects, an important research library featuring thousands of rare and unique materials, and twenty-two historic buildings, including Yin Yu Tang, a 200-year-old Chinese house that is the only such example of antique domestic architecture presented outside of China. Collection areas include American art and architecture, Native American, Maritime, Chinese art and architecture, Korean, Japanese, Indian, Oceanic, African, Fashion and Textiles, and Photographic art. HOURS: Open Tuesday-Sunday, 10 am-5 pm. Closed Mondays, Thanksgiving, Christmas and New Year's Day. ADMISSION: Adults $20; seniors $18; students $12. Additional admission to Yin Yu Tang: $6 (plus museum admission). Members, youth 16 and under and residents of Salem enjoy free general admission and free admission to Yin Yu Tang. INFO: Call 866-745-1876 or visit pem.org.